Lead management involves all of the various methods, systems and practices that generate new potential clients. It’s the connection between your marketing and sales team, that ensures your campaigns achieve results. 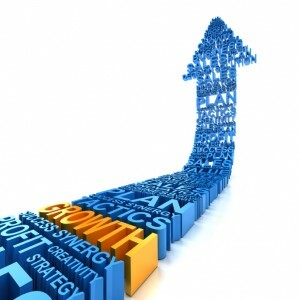 Lead generation is the process of creating interested leads that can be converted into sales. Leads can come from various sources and activities, such as: your website, online and offline marketing, advertising (PPC, etc), telemarketing and referrals. Prospecting can include cold calling or emailing existing databases and contacts to survey prospects and confirm their interest. It’s essential that once you begin a lead generation campaign, you’re committed to following through and closing the sale. The lead qualification process is essential to any lead generation effort, to separate inquires from ‘sales ready’ leads. Qualification depends on the criteria you set out for an ideal lead to evaluate the readiness, willingness and ability of a lead to buy now. By ensuring leads are qualified before investing time following up, you can save money and ensure your sales team remains fired up and closing leads. Lead nurturing is the act of building a strong, ongoing relationship with your prospects that are not ready to purchase yet, by providing value and helping to educate about your product or service. Campaigns can include phone calls, email marketing, value adds (white papers, ebooks, webinars) and calls to action. Effective lead nurturing campaigns will help your prospects to understand more about your business to help your prospects to sell themselves. With an effective lead management system in place, leads reaching your sales team will be primed and ready to close. They will be and vetted through your qualification process and educated through your nurturing process. All that’s left is to seal the deal! By this point, your lead management processes should have provided enough data to make your sales team’s job easy. It can take time and effort to reach this point, but with the right systems and practices in place, your sales team will close more sales than ever! Learn more about the lead management results we’re achieving for our clients!